It’s finally here! After a year of anticipation and months of training, I will compete in my first Texas Water Safari — or perhaps I should use the word participate (in reference to myself) since this is a race filled with very tough competitors. The best part about it all is that I have the privilege of doing this race with my son and daughter. Jonathan and I will spend several days together paddling day and night while Niki, my oldest daughter and our team captain, and my wife Cheryl meet us at the various checkpoints where Niki will replenish our water supply. My youngest daughter Gina will provide prayer support from Malaysia! Thankfully, my nerves have finally settled and I am ready to start the race in the morning. I understand that anything can happen along the way, just like on the Amazing Race television series. However, we are prepared to work hard to make it from start to finish in less than the 100-hour time limit. 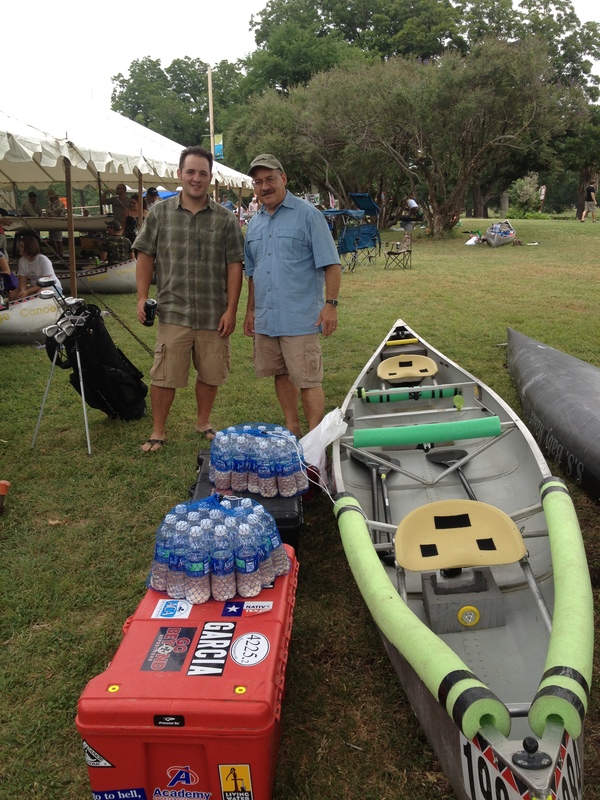 If you would like to follow our journey on an online map, please click on our SpotTracker link: Texas Water Safari 2012 Go Beyond. Our SpotTracker will start sending updates to this site after our 9:00 AM start on Saturday morning and several times per hour throughout the course of the race. If you would like to look at photos and have a Facebook account, please friend my assistant Amy Harris Granger. My daughter Niki will periodically forward photos to Amy to post on her Facebook page. Thanks for going beyond once again in your friendship and service, Amy. I appreciate your help. Thanks for your prayers and for following our journey. I look forward to writing about our great adventure after the race. Praying for you. Can’t wait to read all about it! Thanks, Cathy. Prayers definitely needed and appreciated. Praying for you and Jonathan. What an awesome adventure for Father and Son. Thanks a million, Janet. We need lots of prayer-fuel for the race. So excited it’s finally here! Praying for you, Jonathan & your girls. Thanks, Patricia. Heading to starting line within the hour.